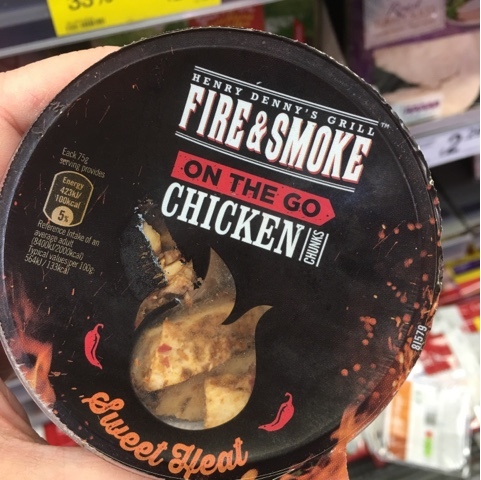 The Skinny Doll: Fire & Smoke - On the Go Chicken Chunks! 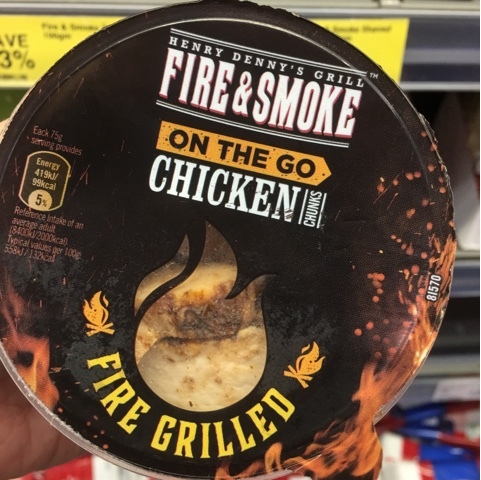 For the chicken lovers (definitely me! 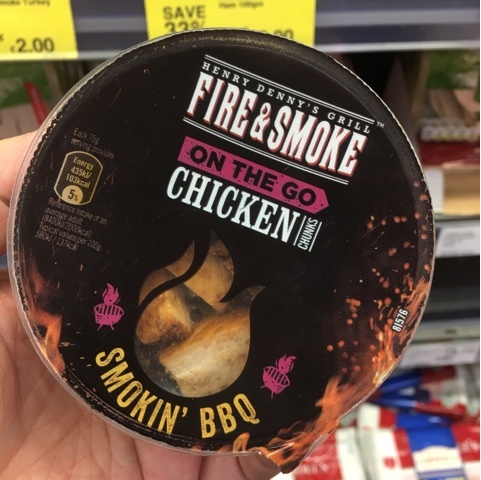 ), here's some new individual pots (75g) of pre cooked chicken chunks in three flavours from Henry Denny's Grill! SO handy to have for your lunch bag or just to throw in the fridge for an emergency salad or stir fry, or just eat from the pot as you go! where did you purchase these? what supermarket? they look amazin!! !